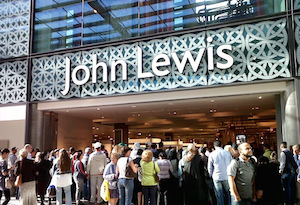 John Lewis sales soar 23%, so why isn't the boss happy? Strong Christmas sales were followed by an impressive week to January 2 for the department store. As the only major retailer to release weekly updates, John Lewis puts itself in line for constant scrutiny – but it also means any good news can be dragged out when things are going well. Earlier this week, the department store chain revealed its sales for the six weeks to January 2, which by and large were very solid. Now it’s updated the weekly figures for the seven days up to January 2 just to hammer home the message – its sales are impressive, even more so compared to some of its struggling peers. Sales were up 23% to £152.87m as shoppers were tempted by the first day of clearance. It’s worth noting that last year the same day fell into the previous week’s trade for the store though, so that obviously skews the comparison somewhat. There was less positive news for its sibling Waitrose as sales fell 2.5% for the week. On the plus side, the supermarket did say premium items went down well for New Year’s celebrations, before fruit and vegetables sales soared in line with people’s good intentions for the turn of the year. Raspberries were up 33%, blueberries 22% and avocados 40%, marking a return to healthy eating after a festive season of indulgence. In contrast, John Lewis recorded a strong showing all round for the week, with home up 17%, furniture, textiles and carpets all enjoying their biggest weeks ever, while fashion rose 29% year-on-year – menswear up 44%. The retailer also made sure to specify that womenswear had a record week of sales, with both cold-weather and new-season products doing well. Bad luck, Next (which recently blamed an unremarkable update on the weather). ‘In terms of channels, it was a very good week for both branches and online,’ Christine Kasoulis, buying director, Home at John Lewis. ‘All but one branch beat last year.’ The retailer's website was up 35% on last year and smartphone traffic was a big driver. So you’d think Andy Street would be feeling fairly content at the moment, but that didn't stop him having a go at the big ecommerce elephant in the room. The John Lewis MD has been pretty vocal this week about firms that don’t have to pay the same rate of tax in the UK because their headquarters are elsewhere. Put simply, he’s not happy competing against Amazon on what he says is an uneven playing field. Street feels the government is beginning to address it ‘but as yet we’ve not actually seen that really, really bite’. A firm paying corporation tax has less to invest in its future, which he thinks is ‘a critical differentiator’ as retail rapidly changes. He also wanted to emphasise it wasn't just about John Lewis. 'Let's be absolutely clear, this is about those UK companies paying corporation tax on the profit made on the UK against companies that make profit here, but do not clear it and therefore do not pay tax,' he said. If not resolved more effectively, in time British firms may well be at a disadvantage. You can see why he’s feeling a bit aggrieved.